3 Advantages & Disadvantages Of Ultrasonic Welding You Need To Learn Today! Ultrasonic welding is a great form of bonding technology that can streamline your manufacturing process. At Xfurth we have decades of experience manufacturing high tech welding equipment, and we want to share some of the advantages and disadvantages of ultrasonic welding with you. For many companies it represents a great way to join various different plastics, with some advantages that are hard to replicate. One of the best parts about an ultrasonic welding system is the speed that it offers. The ultrasonic horn creates a weld almost instantly, and the bonding time is determined by how quickly the weld cools. As soon as the weld is back to a normal temperature, the bond is nearly as solid as it can be. In most cases this is only a second, and for some materials even less. For automated systems that need to achieve a high throughput, the speed that ultrasonic welding delivers is fantastic. Your production line will never have to worry about ultrasonic welding creating delays. With a basic Xfurth welder costing £12,000 upwards the initial investment required and the additional tooling costs can be considered expensive by some, but ultrasonic welding is generally the least expensive welding process on the market. While there are some inexpensive machines available, they frequently represent a false economy offering no process monitoring or feedback, unstable welding due to machine flexing and unreliable ultrasonics. When you invest in quality ultrasonic equipment, you will be investing not only for your immediate project but for the future wanting a machine that will serve you for years without problems. This isn't possible for every company to do, so it does represent a disadvantage. It is important to also note that for low volume work we offer equipment hire or a contract welding service for when the investment can’t be justified! Using ultrasonic welding equipment is extremely safe, and vastly superior to other forms of bonding technology in this area. Because the ultrasonic waves are focused on the welded product only, there is little chance of anything dangerous happening. The amount of heat created is minimal and localised, and it is quickly dissipated. All of our machines have a guard fitted as standard for additional 3rd party safety. Integrating ultrasonics into your manufacturing process isn't an overnight process. To a greater or lesser degree all ultrasonic tooling will be custom built for the product being welded. Some products will be occasionally able to be welded with an off the shelf tool but generally this is not the case. This means that your tooling will have to be designed and manufactured to order and won’t be available in a day or two. Fortunately at Xfurth we manufacture all of our tooling onsite within our fully CNC operational toolroom so we can often turn around tooling much faster than any of our competitors. Once made, quality ultrasonic equipment and tooling will function reliably for thousands and thousands of cycles. This means that you don't have to worry about expensive failures. At Xfurth all of our machines and tooling come with at least a 12 month warrantee. When you need replacement parts for your ultrasonic welding machine, you will be glad that your company bought quality components. 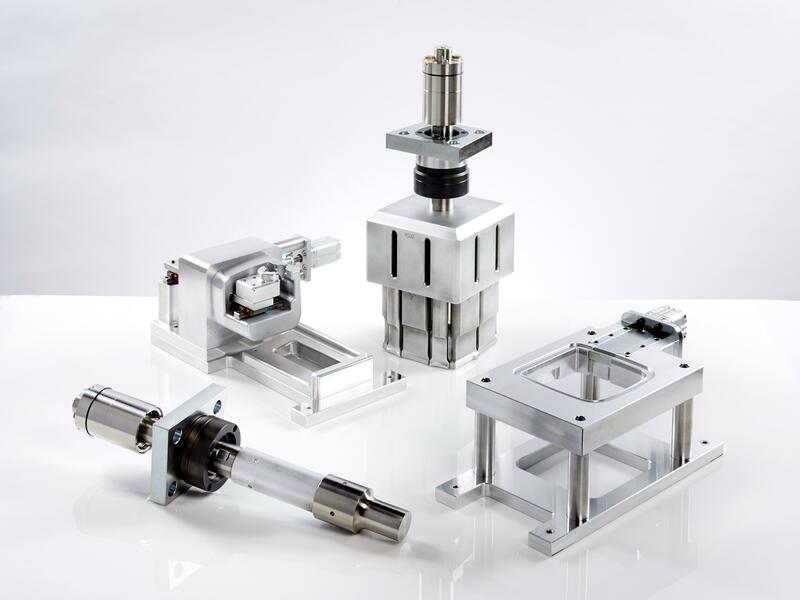 Because ultrasonic tooling is largely undertaken on a custom basis, replacement tools can be an issue but we will always prioritise any tooling if your production is down to minimise any disruption. All of our standard machine parts are kept on the shelf so can usually be delivered next day, we also have hire and loan welders available to help our customers in event of a failure or longer term repair. At Xfurth we will be able to help you find the right kind of welding technology for your needs. In most cases ultrasonic welding represents a very efficient way to reliably bond materials. It is safe, and once the initial investment is made, the operational costs are very low. You can find out more in our free Ultimate Guide to Ultrasonic Welding, which you can download by clicking here. For any further information or to speak with one of our engineers please give us a call on 0158 243 6000, or contact us online. We will always be able to recommend the right welding technology for your application and offer free feasibility and assistance in the design phase of your product, we look forward to assisting you.